FILTERED DOWN THE RANKS: Davos Sentiment CATASTROPHIC! *** CRITICAL: This is a time-sensitive letter. I’ve been studying the released interviews of the world’s wealthiest investors for some days now, as full-length video clips from the World Economic Forum in Davos, Switzerland are being released, non-stop. From top to bottom, billionaires are WORRIED. There’s one common thread that is being echoed by almost all the participants, from hedge fund managers, like Ray Dalio, who was able to generate 14% in 2018 for his clients, in the worst year for equities since 1969, with 93% of global asset classes IN THE RED, to policy-makers, prime ministers, and bankers. That theme is a synchronized global slowdown. Seth Klarman, who shies away from these types of events, is one of the few investors, who influenced my thinking mostly in the early days of my investing career, back in the 2000s. He just came out with a rare warning letter that is going viral at Davos. Basically, he states that prices for equities do not reflect any of the political problems that are built into our society, especially the wealth gap between the rich and the other 95% of the global population, who are drowning in debt. Klarman, who is loved by Warren Buffett, among other legendary investors, is obsessed with defensive investments. I follow closely the positions these investors take, especially when it comes to companies that I’ve already researched in advance because it is a sign that hundreds of analysts have gone through their business fundamentals and they are willing to risk their jobs, by giving the green light to the fund to take a position. The hedge fund industry is suffering badly right now, and with Blackrock, the largest asset manager on the planet, firing hundreds of employees, all of Wall Street is on high alert to make sure 2019 is positive and lucrative for their clients. Fund managers have been shorting stagnating sectors, like tobacco, which are in cyclical decline in the U.S., in order to spread their bets. Right now, with the rise of cannabis legalization, billionaires have stopped shorting cigarette companies because they are successfully re-inventing themselves, by making acquisitions of fast-growing cannabis businesses and, thus, are beginning to grow again. For years, I’ve been holding a short position with an auto manufacturer, using the same logic of shorting outdated industries, as Millennials are not only smoking less than previous generations, they are also leading the green revolution, and are also annoyed by the thought of owning a vehicle in an urban area. They get disgusted with trying to find parking, with the gas the exhaust pipe releases into the atmosphere, but mostly, they can’t afford these massive chunks of metal with four wheels. 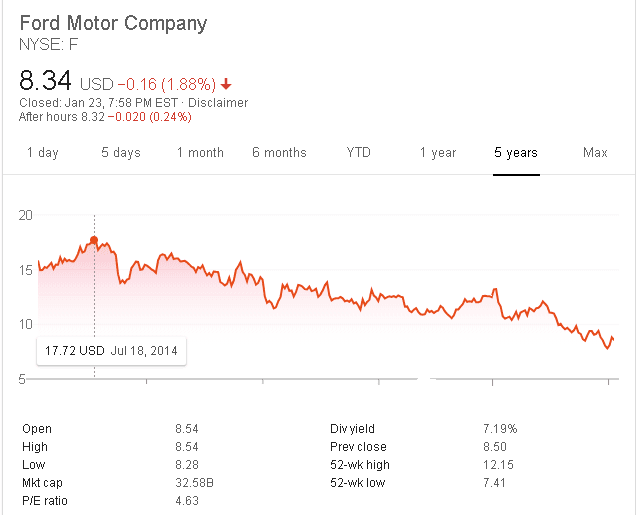 My short position in Ford Motors is already reaping huge rewards in just a few years, and in the same manner that tobacco companies have had to reinvent themselves, so are these auto manufacturers looking to diversify into the micro-mobility industry, which is less polluting to the environment and doesn’t jam our urban roads. The auto industry, arguably one of the largest and most robust sectors of the global economy, is getting disrupted, as all the players are looking to be pioneers in the new wave of personal transportation, and it’s all done PRIVATELY, at the moment, so average investors aren’t part of the early rounds of capital raises. Normally, we wouldn’t have a prayer in the world to get into these industries in their infancy, when valuations are so cheap that the angel investors, the venture capitalists, are paying exactly what we can get our shares for, but I’ve uncovered this type of time-sensitive situation. The best way I know of shorting the U.S. dollar is by owning precious metals. That’s Ray Dalio’s favorite way as well. The best way I know to capitalize on the slowdown in the economy, and particularly in auto sales is by positioning early in the ride-sharing phenomenon. Carl Icahn, the second richest investor of all times, a very secretive person, who rarely gives interviews, is of the same mind. He took a major position in Lyft, Uber’s rival, but both of those trains have left the station. The big money is not with them anymore. The next wave is in compact-sized transportation. Bird, a scooter company, has managed to become the fastest business in history to reach $1B valuation, but it’s private. We’ve just uncovered the ONLY publicly-traded electric scooter company, which could grow at a frantic pace, as Millennials continue to cut back, downsize, and look for efficient ways to get around the large metropolitan centers. This stock isn’t a billion dollar business yet. Heck, it’s not even at $200M. In fact, it’s not even worth $10M. Like I said, this stock is so cheap that the entire market cap is $2M, the size of a tiny start-up, not of a company, that stands to potentially capitalize on the most severe recession the U.S. has ever known. Davos interviewees couldn’t be more worried about the slowdown, and they’ll look at ways of finding winners that grow during downturns. (TSX-V: LOOP & US: LPPPF) RIGHT NOW! Currently, shares are trading for USD$0.0375 and CAD$0.05, but our proprietary evaluation over months of closely researching it, are several multiples of it. I’m buying shares – this is a $2M, which is on its path to compete with Bird, a billion-dollar business, and no one has even heard of it yet. Consider becoming one of the early-stage shareholders of the company: LOOPShare LTD (TSX-V: LOOP & US: LPPPF) TODAY! This work is based on SEC filings, current events, interviews, corporate press releases and what we’ve learned as financial journalists. It may contain errors and you shouldn’t make any investment decision based solely on what you read here. It’s your money and your responsibility. We have been compensated two hundred and fifty thousand dollars for a one year marketing agreement. We have also participated in a private placement and own shares of the company, we will not sell during any active email coverage. Never base any decision off of our emails. Never base any decision off of our emails. The information herein is not intended to be personal legal or investment advice and may not be appropriate or applicable for all readers. If personal advice is needed, the services of a qualified legal, investment or tax professional should be sought. SCREECHING HALT: China Declares War on USD!